« Cherry Valley WI Pie Sale Today! 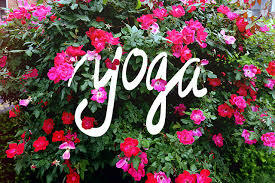 Get your body ready for Spring with Yoga tonight! Avoid the aching back, stiffness and sore muscles that can accompany garden work. Prepare your body for the joys of Spring and Summer by attending Yoga with Carrie. Tonight and every Thursday till June 25th.